Opposition lawmakers have joined ruling party members in calling on Cabinet members to stop talking about UFOs. Democratic Party of Japan Secretary General Yukio Hatoyama on Friday told reporters that government officials and lawmakers should avoid getting deeply involved in the UFO discussions, adding his voice to similar comments by some ruling party lawmakers. "If aliens existed and came to Earth, they would have to be creatures of far greater intellect than human beings, which is just impossible," said Hatoyama, who is often called an "alien" because of his appearance. "Since it's all complete fantasy, it makes no sense to discuss how the Defense Ministry should respond." Hatoyama's eagerness to close the curtain on the UFO discussion stems partly from the fact that it was a DPJ lawmaker who triggered the discussion by submitting a written question to the Cabinet, which asked whether the government could confirm that UFOs were alien spacecraft, according to sources. In response, the government on Tuesday issued a statement it was unable to confirm whether UFOs were piloted by aliens. DPJ House of Councillors Ryuji Yamane, who submitted the question, has posted the response on his Web site, and says that he also wants to end the alien furor. 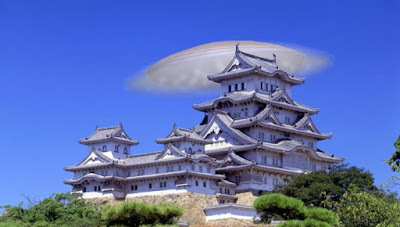 "I and my staff have been relieved to find that we haven't had any calls of complaint over the whole issue, which may be partly down to the fact that Chief Cabinet Secretary Nobutaka Machimura made a positive statement [regarding his personal views on the existence of UFOs]," Yamane said on his Web site. "Now, I'd like to devote myself to welfare policy," he added.